Hi everyone!!! 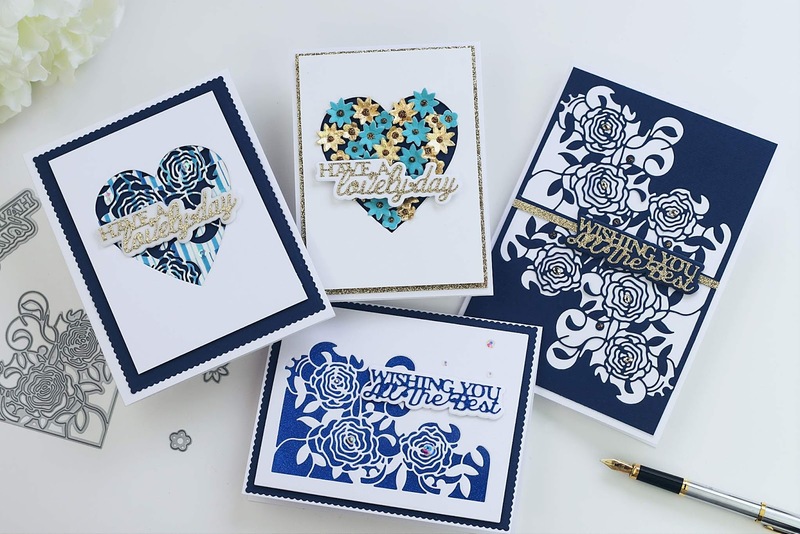 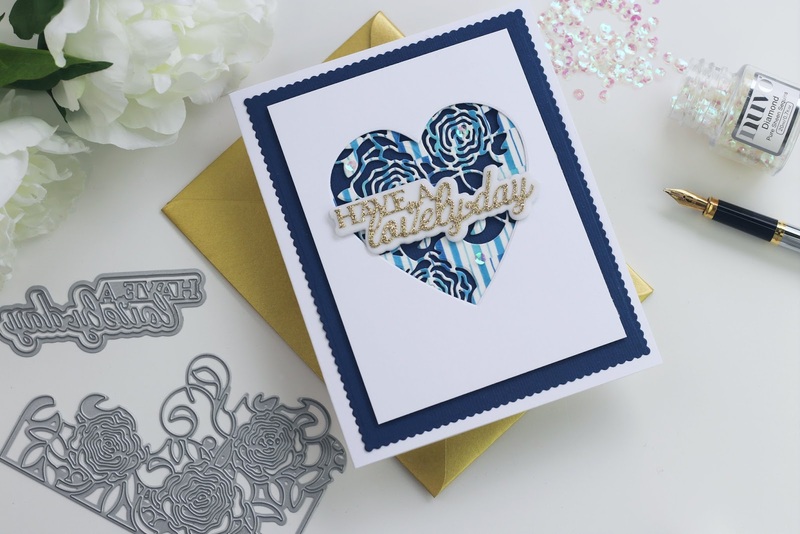 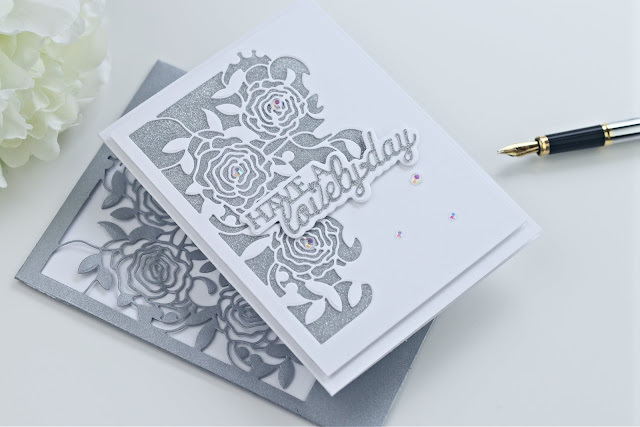 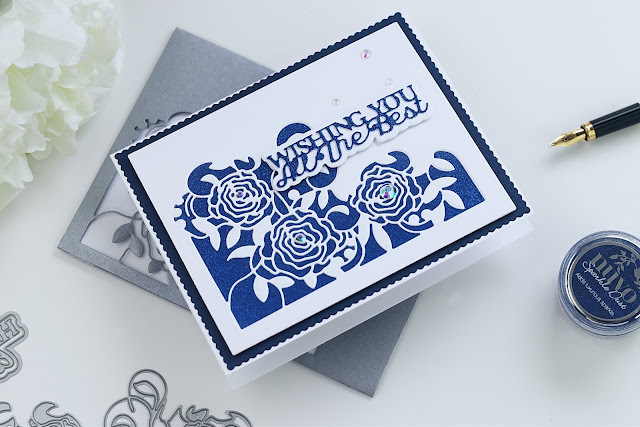 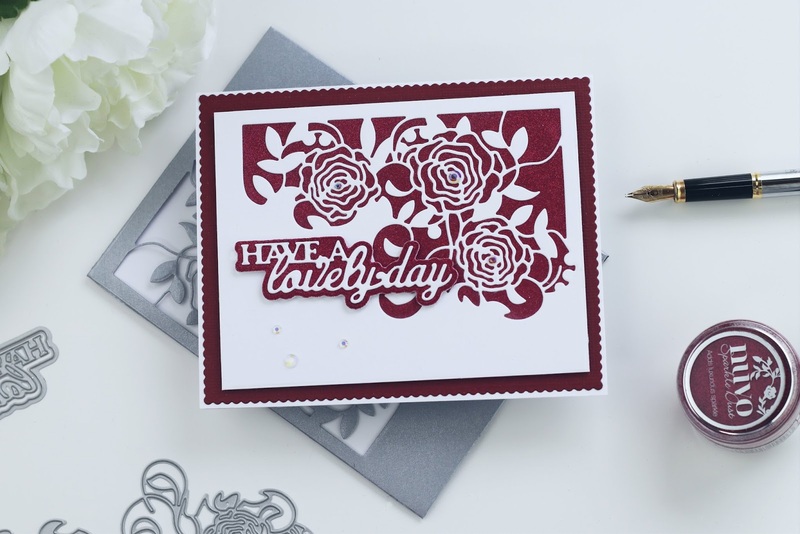 today I'm sharing ideas and inspiration using the Tonic Studios Craft Kit 21 over the brand new Tonic Studios Blog here and on my Youtube channel and blog. I got hooked on one of the dies in the Distressed Edge & Tag Die Set and I wanted to try different layouts using it. 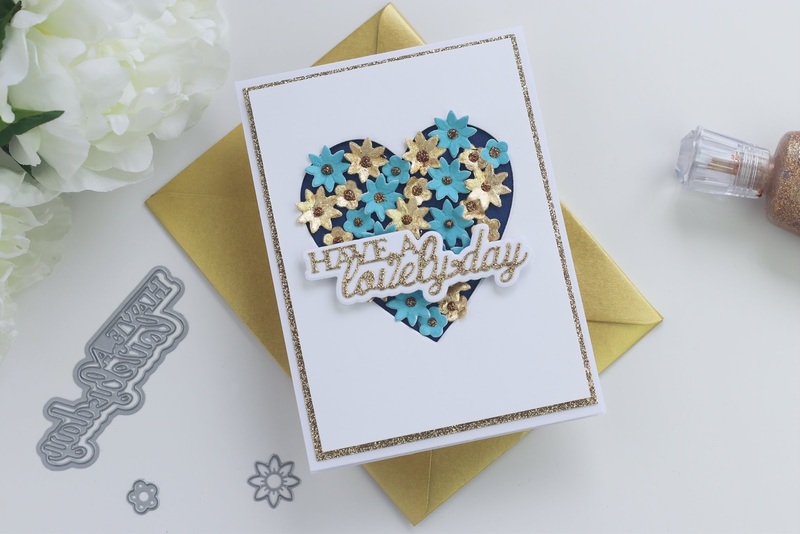 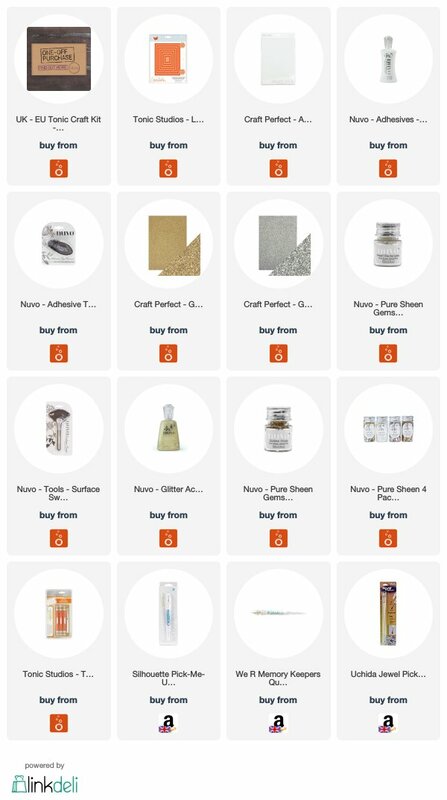 This kit includes supplies in reddish, golden, copper and blue colours and this time I tried to stick to the colour combo suggested in the kit … However, I defo needed to add white, silver and sparkle. So for the three cards below, I applied the same design but I used a different layout and colours. 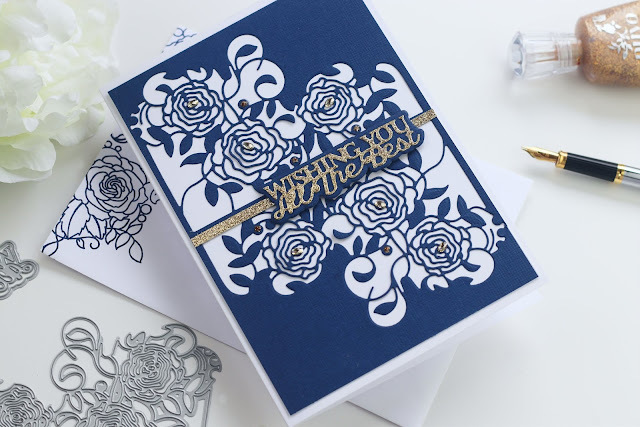 I also made a coordinating envelope! 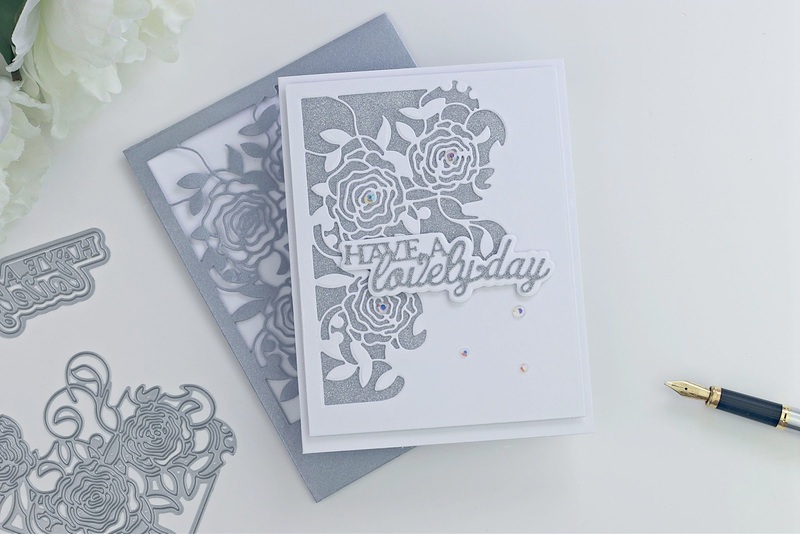 This die set is one of my favourites dies sets by Tonic as it allows me to cut perfect panels for C6 standard American cards and also A5 one of the British favourite card size. I also used and double-sided adhesive sheet behind the die cut panel and I sprinkled glitter on top so that I filled the negative space of the die cut with glitter.